It seems like this is the time of year for scams targeting writers. Passive Guy, aka David Vandagriff, recently wrote a blog post warning writers against Autharium, "a new British site that makes it easy for indie authors to publish and distribute their work". By distributing your book through Authariam, you are giving Authariam exclusive world-wide ebook rights to your book for the full term of the author’s copyright, which PG is informed is the author’s life plus 70 years under British copyright law. British law governs this contract. You can remove your book from Authariam, but Authariam still owns world-wide rights. Not only does Autharium demand an exclusive, their definition of digital form is so broad that it arguably includes subsidiary rights like audiobook, movies, and really any digital content. Autharium can legally sell the audiobook rights out from under the author, and the same goes for the movie rights. Hell, that site could sell the movie rights to their entire catalog for 10 pounds and a job offer, and it would be completely legal. Run away from this company! 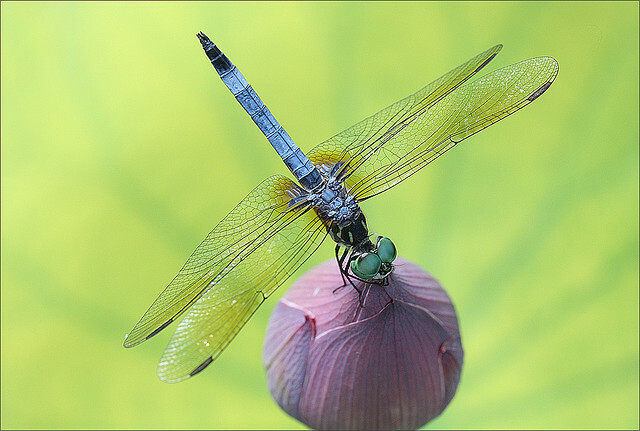 Photo credit: "Close up of a dragonfly on a Lotus Flower Bud on green background - IMG_7149" by Bahman Farzad under Creative Commons Attribution 2.0. There are more scammers than honest people out there these days. Yea, right there with you Mac. It's discouraging.